Luke Schouten became the new pastor at First Reformed Church in January 2014. He moved from warm southwest Florida to chilly Iowa. Pastor Luke spent 22 years in youth ministry and as an associate pastor, 3 years as a church planter before joining First Reformed. He is passionate about growing relationships and challenging people to take their faith to another level. His desire is to become a church that loves unconditionally, is passionate about living for Jesus Christ and is making a difference in the lives of our children, youth, families, and community. Josh Lucas is the church’s new Youth Director. Josh comes to Sibley from California, where his hometown is Fresno. Josh loves playing sports especially baseball (GO GIANTS!). His second biggest sport is football (GO 49ERS!). Josh played both of these sports from elementary school till college. He has two older brothers which makes him the baby in the family. Josh has been in ministry for four years now. He was the youth leader at his home church in California, but God called him to Phoenix, Arizona. He began college there at Grand Canyon University. Josh is studying to obtain his bachelor’s degree in Christian Studies or Biblical Studies as it is formally known as. It was at Grand Canyon, where he met his wife Hannah. They began dating and then seven months later they were married. Josh enjoys telling his testimony, however, doesn't like to hear how his story changed someone or helped them. All of the glory and praise deserves to go to God. Josh now has a huge passion for preaching the gospel and mentoring teenagers in their walks with Jesus the way that the Bible says that they need to. That is what is going to be concentrating on with the students. He will preach the gospel, and teach these students the Bible in a way that they are not used to, or maybe even in a way that they never have before. If you have questions for me or would like to just talk, Josh would love to visit with you. You can get ahold of him at church (754-2783) or emailing joshlfrc@gmail.com. will get it for you or put you in touch with someone who can. She is a great addition to our staff and we are happy to have her here. Jamie works three days a week, Monday, Thursday and Friday. Jamie is married to Scott Hulstein and together they have 3 daughters in High School and Middle School. Yep, that right, two teenagers and a tween!! Between cheerleading, piano lessons, band, volleyball and all the other activities the girls are involved in, both Jamie and Scott are kept very busy. Scott and Jamie also operate a farm by Melvin. If you need to reach Jamie you can do so by calling the church at 754-2783 or emailing her at sibleyfrcoffice@gmail.com. Brenda Kuhl has been our worship coordinator since March 2017. Brenda was born and raised in Sibley, IA and grew up in this church. After living in Missoula, MT for 28 years she and her husband Charlie moved back to Iowa in 2011. She has 2 daughters, Kati and Maranda and 2 granddaughters, Lillian and Annarose. Brenda can usually be found at FRC every Friday morning setting up the slides for Sunday services. She does her best to make sure services run as smoothly as possible on Sunday mornings. She also enjoys helping coordinate special services during the holidays. On Monday - Wednesday she works part-time in the accounting department at Smith Trucking Inc. in Worthington, MN. When she can grab some free time, Brenda likes to spend time with her family, listening to music, playing computer games and doing needlework. She is also part of the Monday Evening Ladies Bible Study group and the Joyful Voices Choir. Kelly was born and raised in Sibley. He graduated from Sibley High School and has a degree in Music Education from Morningside College. 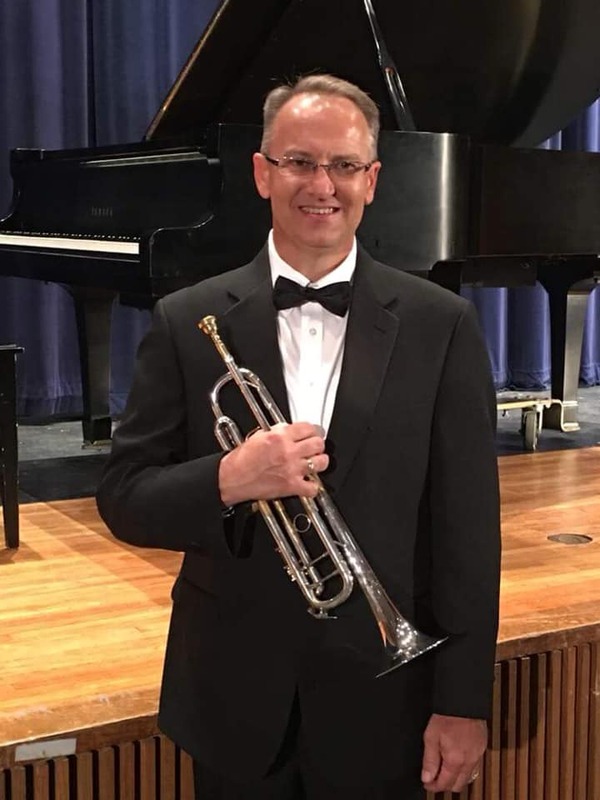 When Kelly is not at church, he is the grades 5-8 instrumental music director at Sibley-Ocheyedan Middle School. Kelly is married to Rochelle and they have two children, Ben and Hannah.